It was hard to find a decent parking spot, where the rain wouldn’t drench us too heavily on our way into the restaurant. 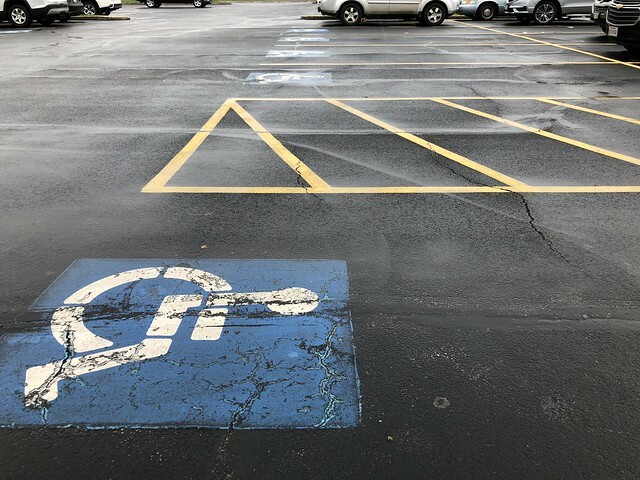 I piloted our minivan in a serpentine pattern through the parking lot, but every time we came to the end of the row — where it looked like we might finally be in luck, with a gap in the spacing of vehicles — it turned out to be another handicapped parking space. As a matter of fact, there were thirty spots reserved for handicapped parking. Clearly, this was no ordinary restaurant. 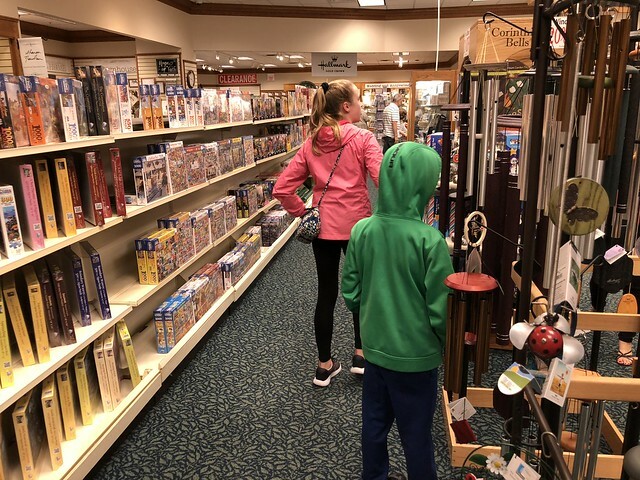 We entered through a large, automatic, rotating door and walked through the cavernous front lobby, past the sprawling gift shop that included entire, grocery-store-sized aisles for puzzles, wind chimes, Crocs, and reading glasses. Once we reached the dining room, the host showed us to our booth. We settled into our seats and looked at our menus. Cor quickly decided on a brownie sundae. Olivia went for the chocolate cake. And I picked the berry cobbler. To say that the Hartville Kitchen is “popular with retirees” is an understatement. It’s outfitted so that entire tour-bus groups of senior citizens can be accommodated. The aesthetic is a combination of Old-Fashioned Amish, Contemporary Christian, and Big American — but somehow it all works. The Hartville Kitchen makes me smile and gag at the same time. 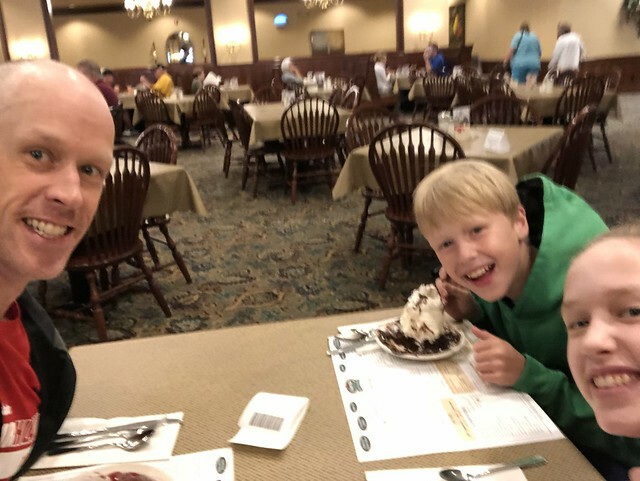 My kids and I came for their pie selection (though none of us actually ended up ordering pie), and we stayed for all the things to see and do on a rainy day: toy store… gift shop… bakery… candy shop… hardware store… model houses… and much, much more. I wouldn’t want to spend every Monday afternoon at the Hartville Kitchen, but I’m glad that I get to spend some time there every once in awhile. This entry was posted in Culture, Culture Shock, Food, Ohio, The United States of America, Travel. Bookmark the permalink.